On February 13, 2019, you’ll find the moon near Aldebaran, the brightest star in the constellation Taurus the Bull. Aldebaran marks the tip of a V-shaped pattern of stars – really, a star cluster – called the Hyades, representing the Bull’s face. Yet Aldebaran isn’t part of this star cluster. It’s a chance alignment, with the Hyades cluster at more than twice Aldebaran’s distance away. Ruddy Aldebaran depicts the Bull’s fiery red eye. After the moon and Aldebaran first pop into view, at nightfall, they’ll continue to move westward as Earth spins under the sky. These two luminaries will set in the west in the wee hours after midnight. Want to know when the moon sets in your part of the world? Click here and remember to check the moonrise and moonset box. Want to know when Aldebaran sets in your sky? Click here and choose Aldebaran as your celestial object of interest. Despite the lunar glare, you might also see the Pleiades star cluster, otherwise known as the Seven Sisters, to the north of the moon and Aldebaran. Each month, for many years to come, the moon will pass to the north of Aldebaran but to the south of the Pleiades star cluster. But each month, the moon will travel farther north in front of Taurus, until it goes so far north that it stages of series of 79 lunar occultations of Alcyone (Pleiades’ brightest star) from September 5, 2023, until July 7, 2029. When the moon is no longer around to guide you, use Orion’s Belt to find Aldebaran. 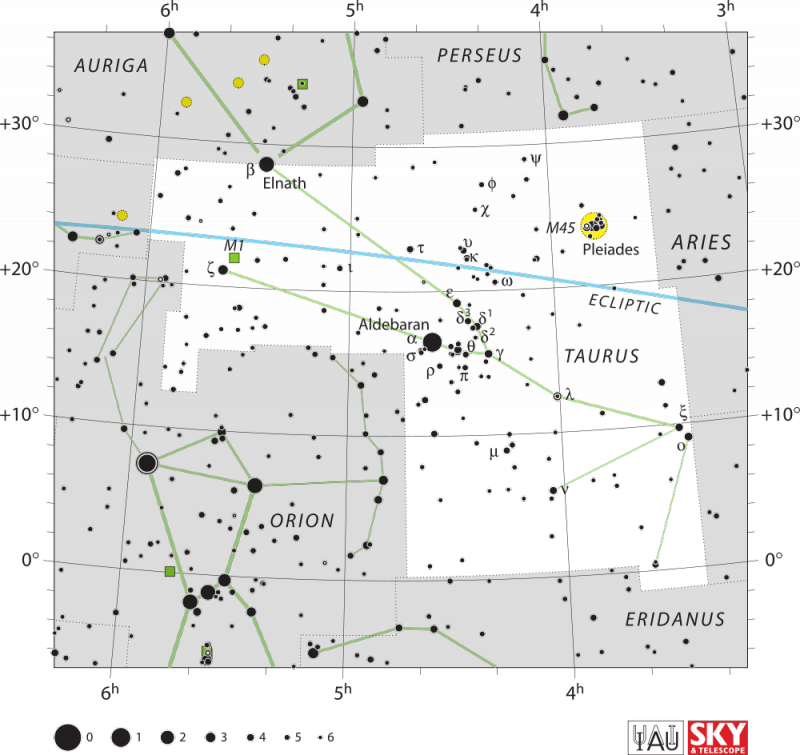 Orion’s Belt, at the lower left, always points in the direction of the constellation Taurus the Bull. The star Aldebaran resides to the south of the ecliptic and the Pleiades star cluster to the north of the ecliptic. 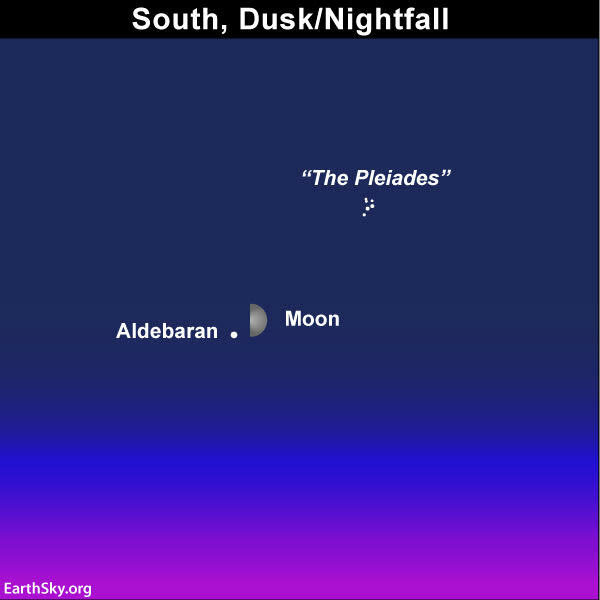 The moon and Aldebaran go westward across the sky tonight for the same reason that the sun goes westward during the day. The Earth rotates from west to east on its rotational axis. So, each day, as the Earth spins full circle beneath the heavens, the sun, moon, stars and planets all appear to go across the sky from east to west daily. At the same time, tonight’s moon on February 13, 2018, is actually traveling eastward in front of the constellation Taurus the Bull at the rate of about 1/2 degree (the moon’s angular diameter) per hour. Relative to the backdrop stars of the zodiac, the moon travels on the average of about 13 degrees per day. If you watch the moon over the next several nights, you’ll see the waxing gibbous moon farther east relative to the backdrop stars than on the previous night, as shown on the sky chart below. As it moves, the moon is edging toward being opposite the sun on our sky’s dome; in other words, it’s edging toward full moon, which will come on the night of February 19. This particular full moon, by the way, will be a supermoon and 2019’s biggest full moon. 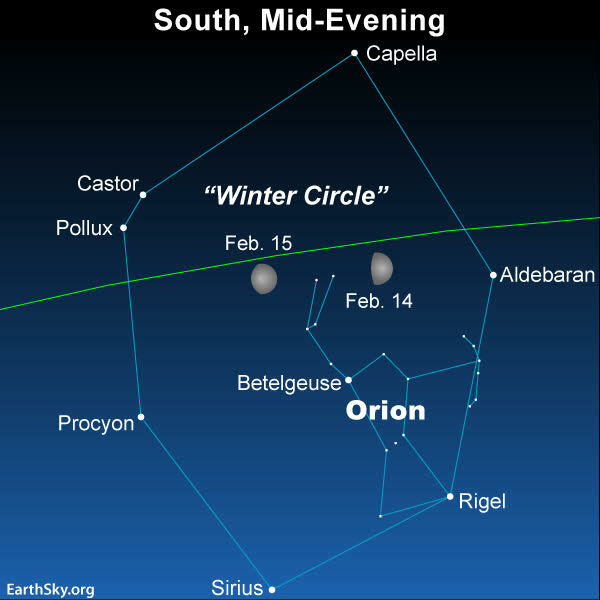 The moon passes in front of the Winter Circle on February 14 and 15, 2019. Read more. 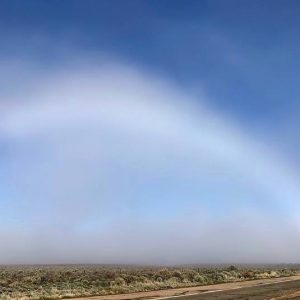 Bottom line: This evening – February 13, 2019 – use the moon to find Aldebaran, the brightest star in the constellation Taurus the Bull.